Landguard Holidays is perfectly situated to explore the Isle of Wight and its many attractions. 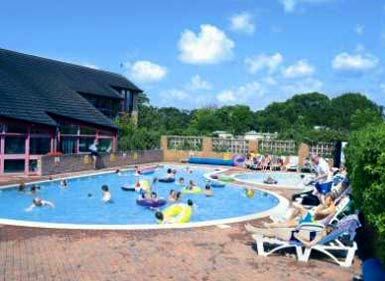 Top facilities at Landguard include indoor & outdoor swimming pools and a licensed club with entertainment. A range of quality self-catering accommodation including caravan holiday homes and pine lodges are available. Landguard Holidays enjoys a beautiful woodland setting on the edge of Shanklin, close to the town centre and the picturesque olde worlde Shanklin Village. The beautiful extensive sandy beach is an easy one mile walk from the Holiday Park, offering all the traditional seaside attractions and there are more beaches at Sandown amongst many others around the Island. Landguard offers a range of self-catering accommodation, from superb and fully equipped Caravan Holiday Homes to luxury Lodges. Our luxury Lodges sleep up to six persons and are fully equipped with all you need for the perfect holiday. The spacious and charming pine interiors offer comfortable accommodation and all the lodges are heated. They are set in a lightly wooded area off a country bridle road. All of our superb Caravan Holiday Homes come fully equipped for four, five or six persons, with hot water, showers and toilet, cookers and colour TV. All of our accommodation can be booked on a weekly basis or for short breaks at off peak times (subject to availability). All holidays include gas, water, electricity, bedding and linen. There is so much to see and do on the Isle of Wight and Landguard Holidays provides the perfect base. Transport to and from the Island can be arranged for you, and all parts of the Island are easily accessible by car, bus or even the comprehensive network of footpaths.